The phrase “we’ll cross that bridge when we come to it” is about to have a whole new meaning in China. 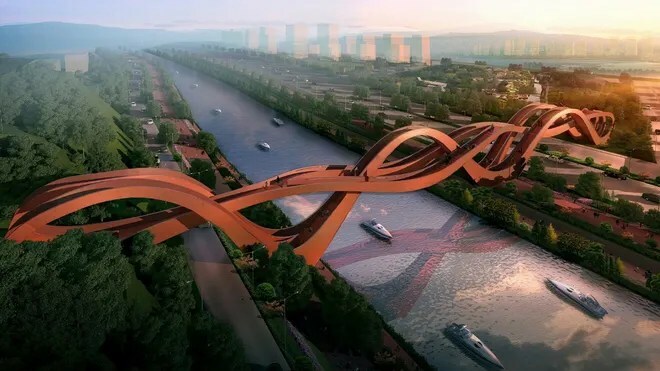 The “Mobius” bridge, proposed for the Dragon King Harbor River development in Changsha, China, is about to become the craziest bridge anyone ever had to cross. 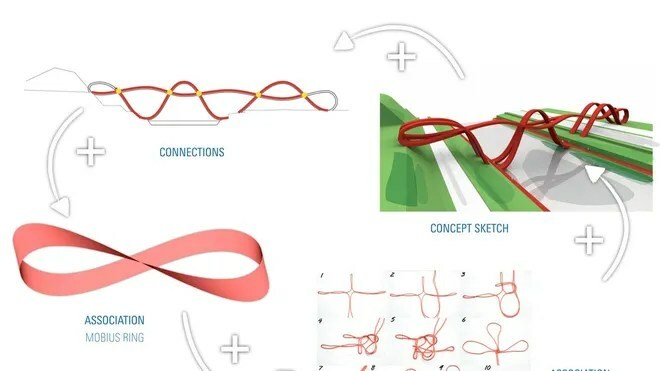 The pedestrian bridge, which would span over 490 feet long and 78 feet high, will be made of a series of interwoven, spaghetti-like pathways all constructed at a range of different heights. The Dutch firm NEXT Architects was awarded first prize in a competition to design the bridge, which will span a river within the town of Meixi Lake. The firm based its design on the Mobius ring, a one-sided surface made by twisting and joining one end of a rectangle with its other fixed end, as well as knots found in ancient Chinese folk art.